Each week, Modern Restaurant Management magazine compiles restaurant industry headlines in MRM News Bites. This week, we feature new restaurant technologies designed to improve efficiency, ways to better market using the #Foodporn and shine the spotlight on Peruvian cuisine. Send items of interest to Content Director Barbara Castiglia at bcastiglia@modernrestaurantmanagement.com. The NYU School of Professional Studies Jonathan M. Tisch Center for Hospitality and Tourism presented its annual Stephen W. Brener Distinguished Lecturer Series on November 9 with featured guest Danny Meyer, CEO of Union Square Hospitality Group. 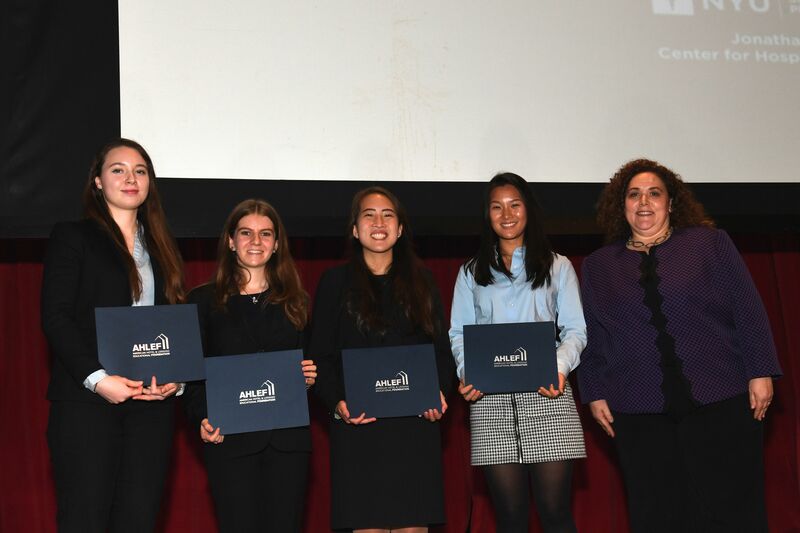 At the event, Kristin Lamoureux, associate dean of the Jonathan M. Tisch Center for Hospitality and Tourism, recognized four students who received American Hotel and Lodging Educational Foundation (AHLEF) scholarships. They are from left to right: Elaina Gabb, Daniela Fisch, Ana Daurio, Rachel Lee, and Dean Lamoureux. NYU SPS offers two food and beverage related diploma programs that respond to the restaurant industry’s workforce development needs, and support the school’s mission of providing access to industry, affordability, and opportunity. Diploma in Restaurant Operations and Guest Service: available to anyone with a high school diploma, students will learn about front- and back-house operations and gain an understanding of customer service and hospitality, while benefitting from guest speakers and site visits to NYC restaurants. To further support the school’s commitment to students pursuing a career in the food and beverage industry, each semester, one applicant for this diploma will be eligible to receive a scholarship discount award covering up to 60 percent of tuition costs. Professional Diploma in Restaurant Entrepreneurship: available to anyone with at least 32 college credits, this program will expose students to every stage of the restaurant planning process, including concept development, funding and site selection, menu design, purchasing and inventory management, sales and marketing, and the hiring of staff and development of an authentic company culture. These one-semester programs are specifically designed to provide students with in-demand skills. Additionally, each program is complemented with industry-specific career modules that will be presented online, in a self-paced format and combine lectures, videos, and interactive exercises. Upon successful completion of a diploma program, students also will have access to career services—for up to one year after graduation—that include annual networking events; a dedicated online portal which features job postings; a resource library containing industry specific best practices; and tip sheets. Toast Restaurant POS launched Inventory, which was designed to provide restaurant operators with consistent and accurate inventory management and reporting, resulting in improved operations, better transparency and a more profitable business. 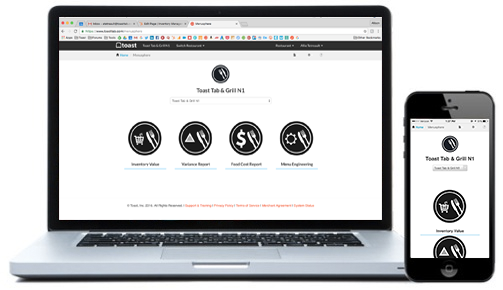 Time Savings: Toast Inventory automatically generates an inventory variance report that is traceable back to individual menu items — no calculator needed. Additionally, the product includes a food cost report that automatically calculates changes in plate costs using the latest purchase prices from invoices with zero manual number crunching. Cost Savings: Increase operational efficiency by getting insight into how much inventory is generating sales and how much is being lost. Restaurants gain new intelligence, which in turn creates actionable insights into managing waste and over-portioning, while preventing employee theft. Increase Revenue: Restaurants can leverage data through Toast Inventory to better understand the profitability of each individual menu item. These insights help operators eliminate low performers, identify menu items that generate more revenue, and experiment with other menu combinations to drive sales. Entrepreneurial Chef Magazine is now offered free to culinary and hospitality students and educators. “The primary reason for starting Entrepreneurial Chef was my firsthand experience of seeing culinary students enter school with entrepreneurial dreams, but subsequently, fall short of such dreams after graduation,” said Shawn Wenner, Founder, Entrepreneurial Chef.” As such, I’ve always wanted to help them in a major way, so the fact we finally have the technology in place to offer a free subscription on a mass scale makes me feel like dancing in the rain! The National Restaurant Association Educational Foundation (NRAEF), in partnership with PepsiCo Foodservice, released its fifth Project Taste Test – Servin’ Up Successful Careers video. The video features Jett Mora, sous chef with Wolfgang Puck Catering, and is ideal for high school programs that teach culinary arts and restaurant management skills, such as NRAEF’s ProStart® program. Project Taste Test videos, with accompanying classroom discussion and activity guides, help high school students learn more about different restaurant and foodservice careers. ProStart is a two-year career and technical education program available in all 50 states, Guam and Department of Defense Education Activity schools in Europe and the Pacific. The program has reached nearly 140,000 high school students this year, and focuses on teaching culinary arts and restaurant management fundamentals. In the video, Mora spoke candidly about his career path in an interview with another culinary champion of the same first name – celebrity executive chef and television personality Jet Tila. Tila is a chef, consultant, teacher and entrepreneur. He has battled on “Iron Chef America,” appeared as a guest judge on “Chopped,” and hosts his own radio show on KLAA in Los Angeles. Mora got his start in the industry as a cook and is currently chef de cuisine at Red|Seven restaurant, and a sous chef within the Los Angeles operation of Wolfgang Puck Catering. Mora has also catered high profile events such as the Oscars® Governors Ball, and explains that Wolfgang Puck Catering events can range from five to 5,000 people. The food might be the star of a Wolfgang Puck Catering event, but there is much more that goes into executing an event. Mora highlighted the integral role that the sales, engineering, human resources, finance and accounting departments play in a successful catering company. For students interested in pursuing a career in the foodservice or restaurant industry, Chef Mora suggested that students do their homework, read cookbooks, and find a mentor to help them along the way. All over the world, new ideas are changing mankind’s relationship with food. From the Svalbard Global Seed Vault to the “ugly food movement,” ideas big and small are making an impact. 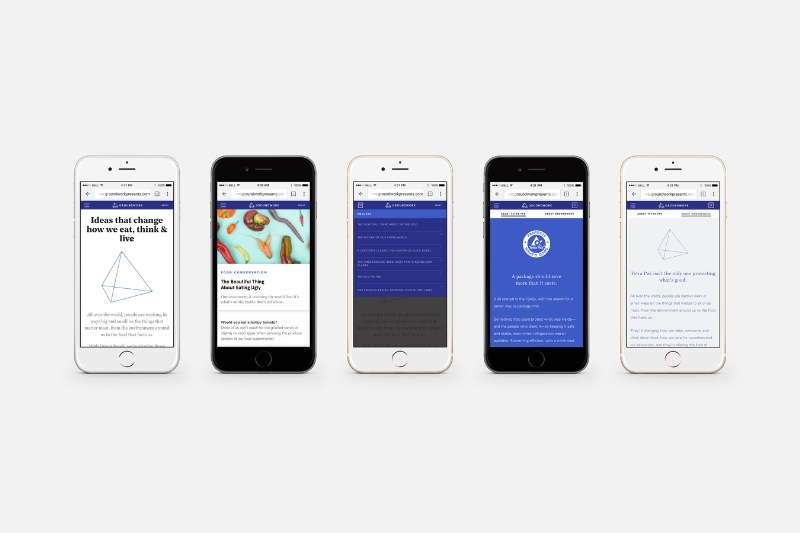 To uncover such stories, Tetra Pak® has launched a new digital platform, Groundwork to celebrate stories about the people and innovative ideas bettering how we produce, consume and think about food, all while caring for the planet in the process. To learn more about Groundwork, click here. 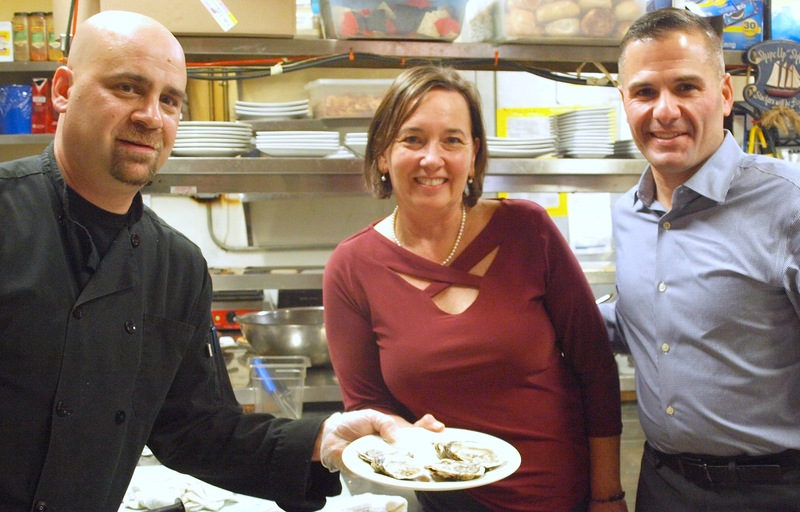 Chef Marco Incorvia of River Station Restaurant & Catering in Poughkeepsie, left, Janet Crawshaw, publisher of The Valley Table and founder of Hudson Valley Restaurant Week, and Dutchess County Executive Marcus Molinaro, offer a plate of shucked oysters, the star ingredient of the eatery’s Oysters Rockefeller appetizer. Along with other delectable offerings, the mollusk is featured on the restaurant’s prix fixe lunch and dinner menus during Hudson Valley Restaurant Week, through November 13. Sharing in the celebratory lunch, but not pictured, were Mary Kay Vrba, president and CEO of Dutchess Tourism; Lisa Morris of Hudson Valley Federal Credit Union, the presenting sponsor of Hudson Valley Restaurant Week; Ann Armater of Health Quest, a premier sponsor and Jake Griffin of Irving Farm Coffee Roasters. Fattmerchant, a merchant services provider saving businesses thousands with its subscription-based model, has partnered with Juke Slot, a customizable self-service tablet kiosk system. As a result of the partnership, Fattmerchant is working with Juke Slot as its preferred merchant services provider to offer flat rate payment processing to its many clients across industries, ranging from casinos and bars to restaurants and hotels. Juke Slot, founded in 2012, is a new generation of self-service kiosk, with the ability to integrate with management systems, point of sales and social media accounts for a variety of industries. Clients using Juke Slot’s kiosks will now be recommended to choose Fattmerchant as their merchant service provider, helping them slash variable fees on credit card processing by offering zero markups. For a flat monthly membership, Fattmerchant decreases monthly costs by not adding markups, surcharges, or ancillary fees to the interchange rates of Visa, MasterCard or American Express. Fattmerchant and Jukeslot are focused on helping businesses succeed by providing innovative technology, revenue generating tools and access to true cost of interchange. With the ever-changing laws and regulations that impact businesses every year, merchants now have ways to reduce overhead costs and introduce new revenue streams to their business. 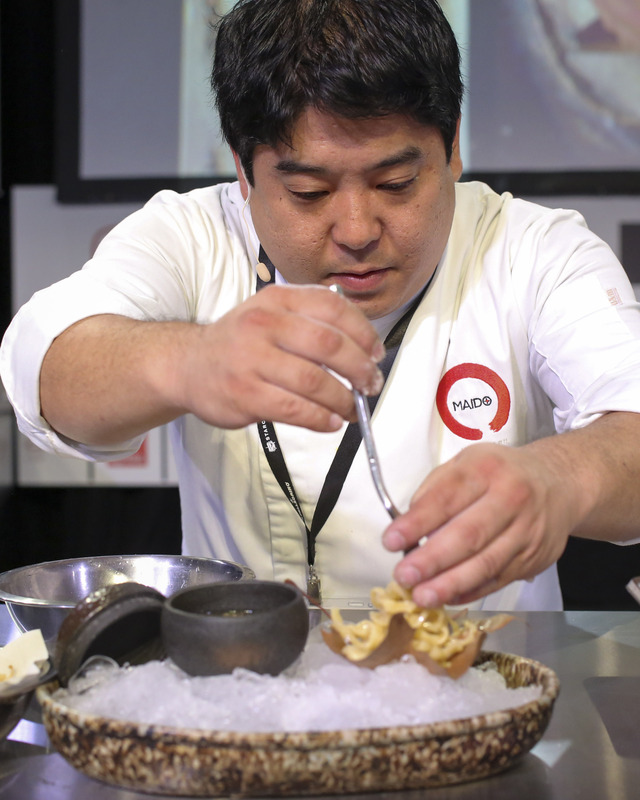 Chef Mitsuharu Tsumura of Maido represented Peruvian cuisine and the diversity of the country’s exports through the presentation 200 Miles to Maido at StarChefs International Chefs Congress. This was the fourth year PromPeru, the Peruvian Tourism and Export Board was a headline sponsor of the International Chefs Congress and promoted brand Peru. 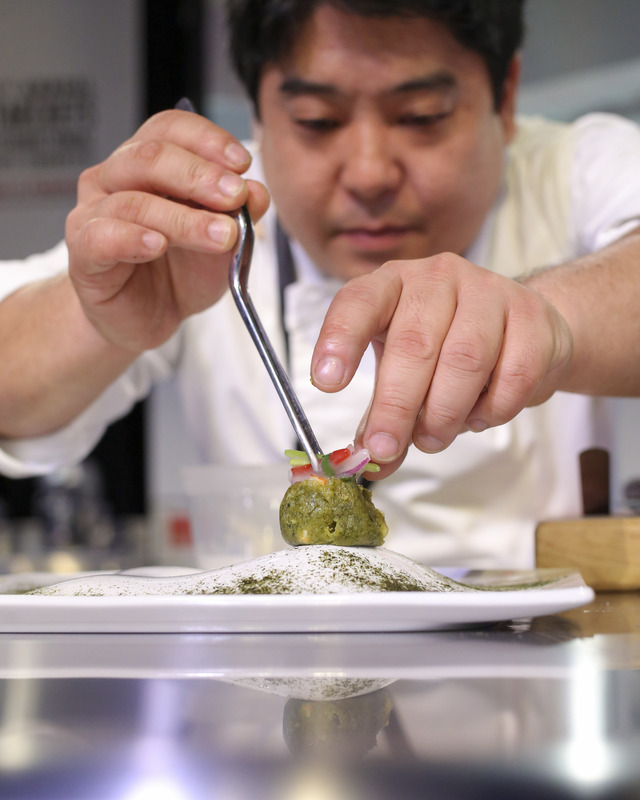 Hundreds of visitors to the Peru booth to view the technique of Chef Mitsuharu Tsumura and sample the dishes which included ceviche de Abalone with Leche de tigre transformed by liquid nitrogen. Chef “Micha’s” Main Stage demonstration showcased the new tasting menu as his Lima restaurant which represents and respects 200 miles of the Peruvian coastline and the sustainable fishing practices Maido supports. Notable guests who participated in the Main Stage presentation included celebrity chef David Burke, Chris Consentino, Wylie Dufresne, Elizabeth Faulkner and Kara Newman. Three Peruvian chefs, Erik Ramirez (Llama Inn), Felipe Torres (Raymi) and Miguel Aguilar (Surfish) presented culinary demonstrations and cocktail tastings at the PromPeru booth over the three days of the Congress, showcasing the most avant garde Peruvian cooking techniques and the diversity of Peruvian exports and products. Stand out dishes included oyster ceviche with hucatuay, Peruvain black mint which proved to be an ingredient which incited interest from visiting chefs to the booth. The theme of this year’s StarChefs International Chefs Congress was “What is Progress” and gathered the most prestigious international chefs and culinary influencers to present the latest industry trends through Main Stage Cooking Demonstrations, Hands-on Savory, Pastry and Bartender Workshops, Wine Tasting Seminars, and Business Panels over three days at the Brooklyn Expo Center. In 2016 Peru was chosen as Best Culinary Destination in South America by the World Travel Awards for the fifth consecutive year. The Global Food Safety Initiative (GFSI) will host 200 industry and government leaders at dedicated briefings in Washington D.C. this month. As new laws are being implemented within the U.S. FDA’s Food Safety Modernization Act (FSMA), the public and private sector will convene to discuss how GFSI can be leveraged by both governments and industry for FSMA implementation, international business and above all, public health. GFSI is powered by The Consumer Goods Forum. “Science guides industry and policymakers to the same place as we work towards our common objective of ensuring a safe food supply for consumers,” commented Mike Robach, Chair of the GFSI Board of Directors. Public-private dialogue and collaboration is paramount to achieving this goal. More than 100 million Instagram posts have been tagged with the eye-catching #Foodporn hashtag. UPshow, a TV-powered social marketing program, was developed for businesses to turn this MUST SHARE behavior into increased customer referrals and additional revenue. In fact, many business owners have discovered that this type of digital word of mouth is invaluable to organically growing their business. According to Nielsen research, 92 percent of consumers trust word-of-mouth recommendations from a friend over any other form of advertising. Each time a customer posts #foodporn from a restaurant, that business is getting a free promotion to that individual’s entire social network. The value of these authentic customer posts dwarfs that of social media posts made by the business itself. UPshow is built to maximize this consumer behavior for a business – whether the content is #foodporn, group photos, family fun or any memorable moment captured from within the venue. UPshow is a plug & play digital signage solution that is powered by a venue’s existing TVs. It takes a customer’s “look at me” social media moment and turns it into an “I’M ON TV!” experience within the venue, while also featuring the business’s own marketing. This excitement inspires more customer-generated content than ever before. The tool is that it does not ask customers to do anything they wouldn’t normally do: take a picture, post it to social media, hashtag it. Only now, a business is able to leverage these authentic endorsements to reach hundreds – even thousands – of new potential customers. 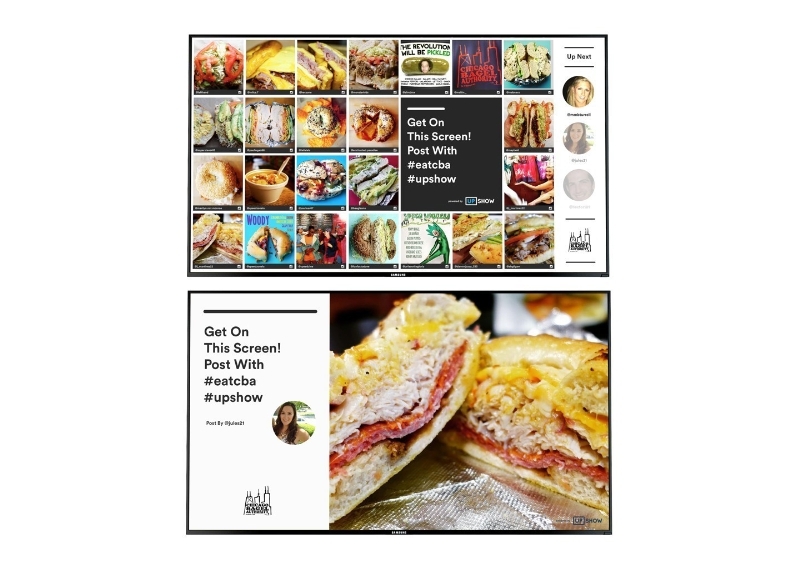 To help businesses increase #foodporn and all types of customer-generated content, UPshow has published its Guide to Transforming Customers Into Promoters, which features actionable ideas for any type of business. HUNGRY Marketplace, the first mobile and online food platform that connects professional chefs with foodies in the Washington, DC area, has received $2.7 million in seed funding. The investment, led by Karam Hinduja’s Timeless Capital, will allow HUNGRY to expand their reach to foodies in the greater DC area. HUNGRY has also received significant investment from co-lead and seasoned investor, Bob Hisaoka. In relation to the investment, Hisaoka said, “This is an exciting opportunity to get involved with a next-gen company that’s changing the way that people eat.” Hisaoka co-led the seed investment round. The United Fresh Produce Excellence in Foodservice Awards Program, now in its tenth year, pays special tribute to chefs and foodservice operations for excellence in the use of fresh produce in the culinary arts. Nominations are open until January 15, 2017. Nominees must have company approval to attend United Fresh 2017. Recognition on stage at the Retail-Foodservice Celebration Dinner. Winners must attend United Fresh 2017 in order to participate in this awards program. The Hain Celestial Group, Inc. launched the Cultivate Ventures strategic platform dedicated to investing behind lifestyle brands, smaller portfolio brands and concepts as well as incubator opportunities, which should benefit from the larger scale and leverage of Hain Celestial’s infrastructure and entrepreneurial roots while contributing to net sales and margin growth. The Company plans to strategically invest with a dedicated, creative focus for refresh and relaunch; to incubate small acquisitions until they reach the scale for the Company’s core platforms; and to invest in lifestyle brands, concepts, products and technology, which focus on health and wellness. BluePrint®: A pioneer of cold-pressed juices, juice drinks and functional beverages. DeBoles®: A full line of pastas including whole wheat featuring Jerusalem artichoke flour and gluten-free varieties made with rice, corn and quinoa grains that are undeniably nutritious and delicious. GG® Unique Fiber: Slow-baked crisp, hearty fiber-rich crackers made with wheat bran and whole grain rye flour. SunSpire®: Confectionery line including snacking and baking products that are certified organic and made with Fair Trade certified cocoa ingredients. Tilda®: Pure basmati rice and other grain products. Yves Veggie Cuisine®: Full line of meat-free products for the health conscious consumer including nutritious vegan and vegetarian options. Beena Goldenberg has been appointed Chief Executive Officer of Cultivate reporting to Irwin Simon. In addition to her current role as Chief Executive Officer of Hain Celestial Canada, she will oversee Cultivate’s mission to grow strategic investments and act as an incubator of small acquisitions until they reach scale for inclusion in the Company’s core platforms: Fresh Living; Better-for-You Baby; Better-for-You Snacking, Better-for-You Pantry and Pure Personal Care. 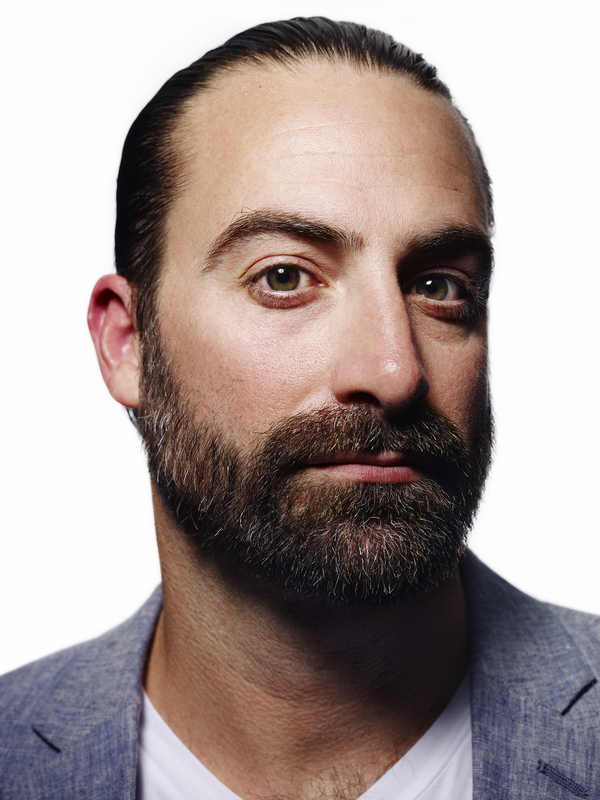 The Bacardi Trade Advocacy Portfolio Team has added Chris Hopkins to its team of experts. A veteran of the hospitality industry with more than 15 years of experience, Hopkins is taking on the role of National Accounts Portfolio Ambassador which will give him the opportunity to develop, plan and execute national account trainings, brand programing, drink strategy creation as well as bartending advocacy building around the country on behalf of Bacardi’s spirits portfolio. Hopkins, an Australian native, has been involved in every facet of the hospitality industry since he began his international career many years ago. From a start with catering and event management, to running the historic Bass Breweries in London, to overseeing the openings of two new venues for the Soho House Group as well as running beverage programs in Las Vegas’s most prestigious resorts, Hopkins has an outstanding resume of global hands-on hospitality experience. Most recently, Hopkins was a part of The Cosmopolitan Hotel opening team and eventually became General Manager, he also worked as the Corporate Mixologist for Wynn Resorts in Las Vegas where he oversaw the development, implementation and training for 27 different bars and restaurants with a team of over 200 bartenders and apprentices. Joining Hopkins, as new additions to the Bacardi Trade Advocacy Team are Duane Fernandez Jr. — who won New York’s Regional “Most Imaginative Bartender Competition” in 2007— as the Texas Portfolio Ambassador and Areina Thomas— previously a Brand Specialist for St. Germain— as the team’s San Francisco Portfolio Ambassador. Bacardi U.S.A., Inc. is the United States import, sales and marketing arm of Bacardi Limited, one of the world’s leading spirits and wine producers. Chef Alfredo Alvarez was appointed as Executive Chef at The Deck at Island Gardens, the only restaurant in Miami where superyacht owners can moor at Deep Harbour and dine with the world’s largest yachts as the backdrop. With Alvarez at the helm, The Deck at Island Gardens will feature an all-new culinary concept, fusing Mediterranean flavors and quintessential European dishes that draw from the yachting circuit’s various destinations from Ibiza to Bodrum. Alvarez brings multi-faceted expertise to the Miami dining scene and a penchant for using the finest European delicacies paired with the freshest locally sourced produce, seafood and meats. Prior to joining the team at The Deck, Alvarez was the Executive Chef at Seasalt and Pepper. Before that, Alvarez worked as a consulting chef for Renaissance Cruise Lines and Celebrity Cruise, where he created menus alongside renowned Chef Alain Ducasse. 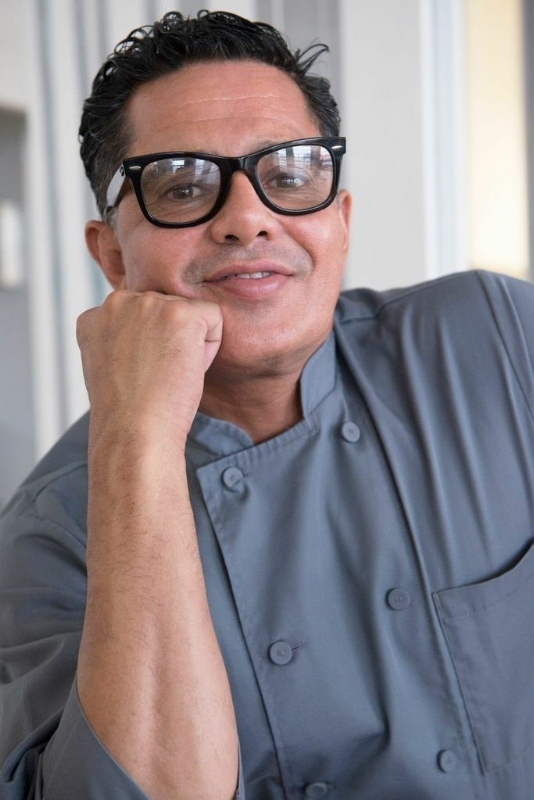 Chef Alvarez’s list of celebrity clients includes Beyoncé, Jay Z, Sofia Vergara, Robert De Niro, Antonio Banderas, Billy Crystal, Michael Douglas and Robin Williams. Alvarez was ranked the 17th top chef in the U.S. by the National Chefs Association in Washington D.C. Originally from Venezuela, Alvarez graduated from Luzon and Ecoli Hotelier Lucerene in Switzerland and interned for Italy’s top chefs, Gualtiero Marchesi and Gianfranco Vissani. Since then, his career has taken him to destinations including Miami, New York, Rome, Cancun and the Dominican Republic. 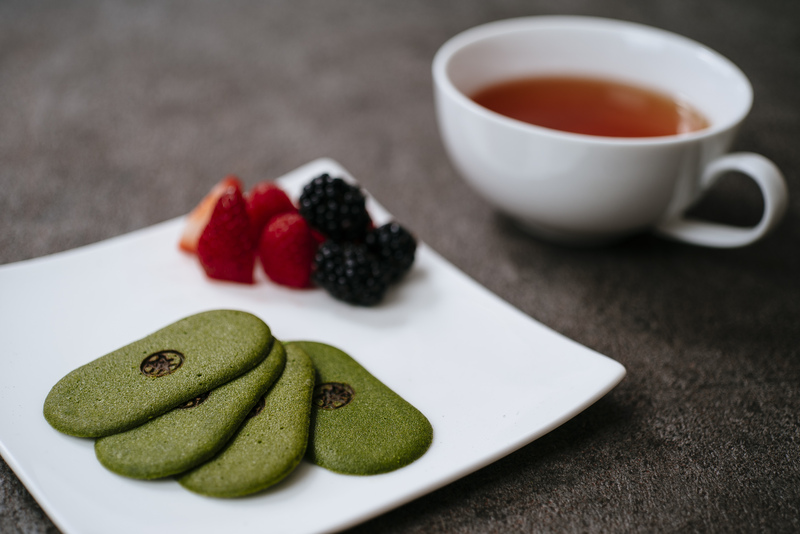 Following a successful introduction at the Whitney Museum of American Art, New Yorkers can now purchase delicious and delicate Maru CHA CHA matcha green tea biscuits at the Upper East Side and SoHo Dean & DeLuca stores in New York City. Maru CHA CHA is the most recent introduction from MALEBRANCHE, a French-style confectioner based in Kyoto, Japan. MALEBRANCHE hopes that these biscuits will not only serve as a tasty and healthy snack, but will also serve to bring the strong ‘Kyoto influence’ to New Yorkers.